Nintendo kind of seems to be steering away from Mario-related media as of late, as least in North America. I’ve heard that Archie Comics wanted to do a Mario title, but couldn’t get permission. In my younger days, however, there was plenty of it, and it shaped the way I looked at the franchise. 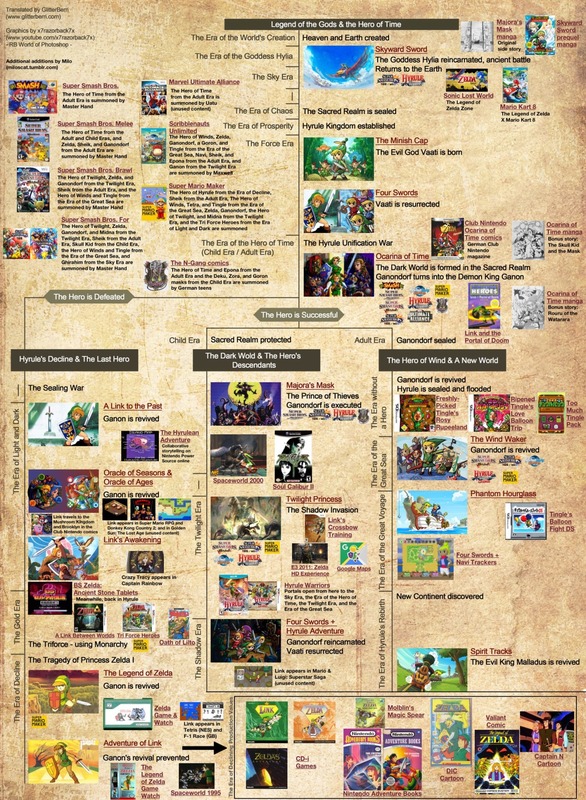 Milo, who did a lot of scans and translations of the German Club Nintendo comics, made a post in March 2016 adding outside media to the Zelda timeline, presumably tongue-in-cheek but still quite well researched. 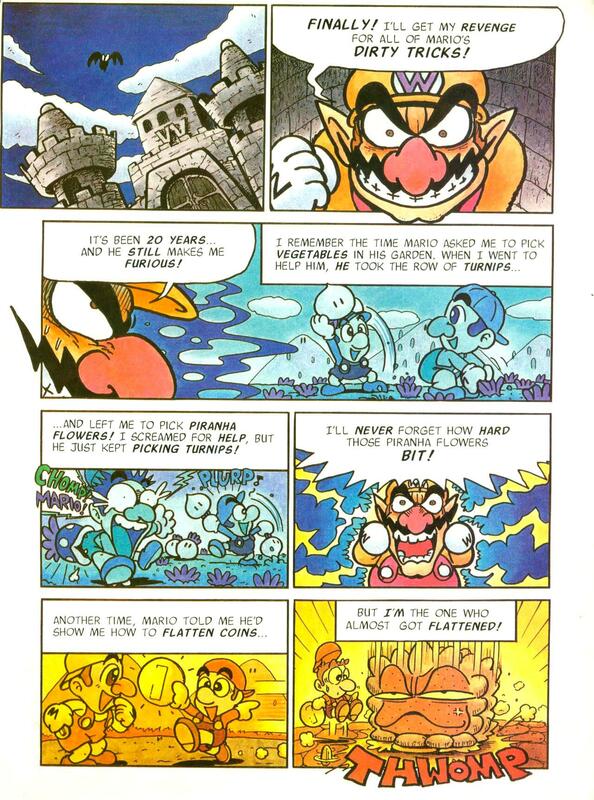 If we’re looking at the timeline in order, I guess the first point of note is that the first Mario vs. Wario comic has Wario flashing back twenty years to when he and Mario used to play together as kids in the Mushroom Kingdom. This is presumably after the past part of Mario and Luigi: Partners in Time, as they’re older than babies. To make this work with some of these other media, this would presumably be before Mario and Luigi’s parents took them to Brooklyn. It’s often mentioned that the Super Show flashback episode “Plummers’ Academy” shows people who look like Wario and Waluigi before these characters were actually introduced, so this could be an (unintentional) indication that these two also lived in or near Brooklyn for a while. 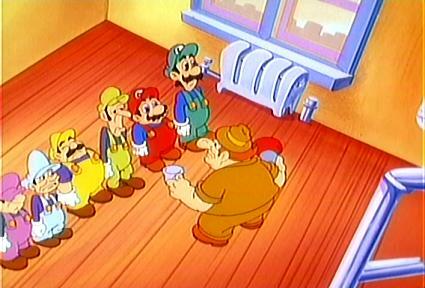 The live-action Super Show segments would have taken place after this flashback, and presumably also after the games that have Mario and sometimes Luigi doing odd jobs other than plumbing, although it’s possible that they occasionally did these jobs to pick up some extra money even after they took up plumbing as their main profession. They don’t seem to make that much for people who frequently have celebrity customers. 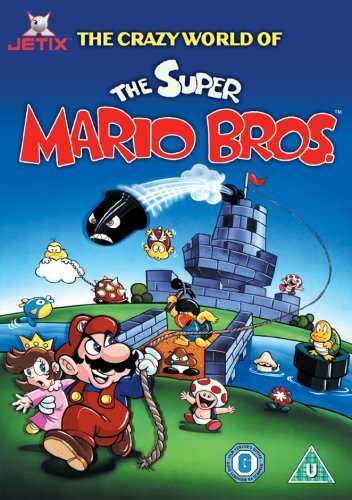 The cartoon introduction showed the brothers being sucked into a bathtub drain that took them to the Mushroom Kingdom, which is confirmed in the SMB3 episode “Toddler Terrors of Time Travel.” I don’t know if it should count as official that they emerged from the pipe and automatically knocked out a bunch of Koopa Troopas and scared Bowser away, but it’s possible. The cartoons presumably took place after the events of the first SMB game, and likely SMB2 as well. The anime was basically a retelling of the first game, and while it has elements that now seem off, like the Marios owning a grocery store, Luigi being greedy, and Princess Peach having a fiancé, we can perhaps accept some of the basic elements of the plot. Hey, maybe Peach WAS engaged back at this point, but it was later called off for some reason. I suppose the 1993 film was supposed to take place BEFORE the first game, but its world is so off from everything else that it’s near impossible to incorporate even by my liberal standards. One oddity of the cartoon is that it included pretty much every enemy from SMB2 (aside from Wart himself, I think the only other one that never put in even a token appearance was the Panser), even though that game was apparently a dream. But then, the actual games followed suit after that, with Bob-ombs in SMB3, Pokeys and Ninjis in SMW, and Birdo eventually becoming a significant recurring character. The Yoshi games make it clear that the Koopas were employing Shy Guys back when Mario and Bowser were still babies. So either Mario dreamed about creatures that actually existed, or there was some way to get from the dream world to the waking one. One weird theory I came up with involves the Valiant story “A Mouser in the Houser,” which has a tribe of mice reveal that Mouser was their king before he teamed up with Bowser. These same mice developed the warp pipe system, so maybe they also had a way of accessing Subcon that Mouser used, taking a job working for Wart as a bomber of good dreams like the SMB2 manual indicates. After Wart’s defeat, he returned to the Mushroom Kingdom and became Bowser’s right-hand mouse for a while. I remember seeing a letters page in one of the Valiant comics asking why King Koopa was controlling Wart’s troops, and the answer was that he had a higher rank. There’s no indication as to what order the cartoons take place in, although “Mario and the Red Baron Koopa” has to take place after “The Pied Koopa,” and “Flatbush Koopa” after “Brooklyn Bound.” The first one aired, “The Bird! The Bird!”, is Plumber’s Log number 101 and has the Princess explain Fire Flowers to Mario, but there’s no consistency to the log numbers and Mario later suggests he already knew about the flowers. 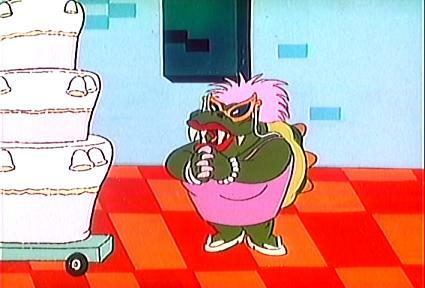 Many of the cartoons start with some narration about Mario’s team trying to free the people of the Mushroom Kingdom from King Koopa, and in “Flatbush Koopa” they appear to have succeeded, and they also find a warp pipe to Brooklyn. It turns out that Bowser has invaded Brooklyn, so Mario and company lure him back to the Mushroom Kingdom and destroy the pipe. He leaves his troops behind, though, so this could be the beginning of his downfall. The writers’ bible for the SMB3 cartoon says that Bowser was trapped in a Banishment Zone in between the two series, but he eventually escaped. Mario and Luigi returned to Brooklyn until after he attacked again. I like to think this is when the Super Mario Land games took place, or at least the first two. While Luigi was fine with returning to plumbing, Mario craved adventure, and took to ruling over a fiefdom granted to him by Peach, or perhaps an island he saved from Bowser. Travel between the Mushroom World and what the cartoon calls the Real World had presumably become much easier, with the characters frequently warping back and forth. I don’t know whether these new warp pipes were newly created or the heroes just hadn’t come across them previously. Salvador Drainado is sure that the warp he finds is the only way back to our world, but we know from “Flatbush Koopa” that this isn’t actually true. 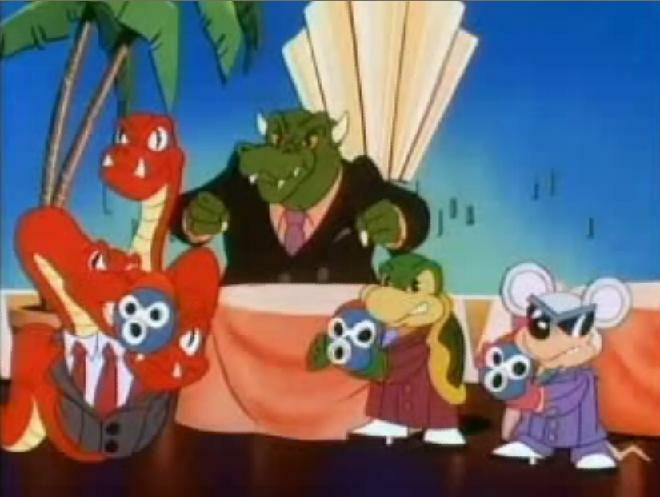 At the time of the cartoon, the Koopalings were still considered to be Bowser’s kids, and he had a paternal relationship with them in the show. If we want to make this fit with the current concept, we could say that he adopted them, or perhaps that they were illegitimate and unable to inherit the throne (in which case they’d still be his kids, but it might explain why Bowser Jr. would become his favorite). If they’re adopted, then it’s possible he did so right before the events of the game. Otherwise, the kids must have been somewhere else before this. Perhaps they were staying with Bowser’s mother, who appeared in a Super Show cartoon. The magic wands are also an issue, as the game has them stealing them from kings who get them back, while in the cartoon they pretty much always had the wands. There actually were two episodes where they stole wands from kings, who got them back by the end. Later games also give them wands, however, and Bowser occasionally used a scepter-wand in the SMBSS. The Valiant Super Mario comics and the first six Nintendo Adventure Books, the latter of which have Mario and Luigi traveling back and forth between Brooklyn and the Mushroom World, would presumably take place around this period as well. They give the Koopalings somewhat different personalities; and use the character of the Mushroom King, Peach’s father. He’s so ineffectual that his presence doesn’t make a whole lot of difference, but if we’re fitting everything together, it does the raise the question as to what he was doing while his daughter was off traveling with the Marios to find a way to get rid of Bowser. Maybe he was transformed into fungus like in the live-action movie. In one of the books, Luigi mentions that the Koopalings’ wands were stolen from the Mushroom Kingdom, but doesn’t elaborate on this. 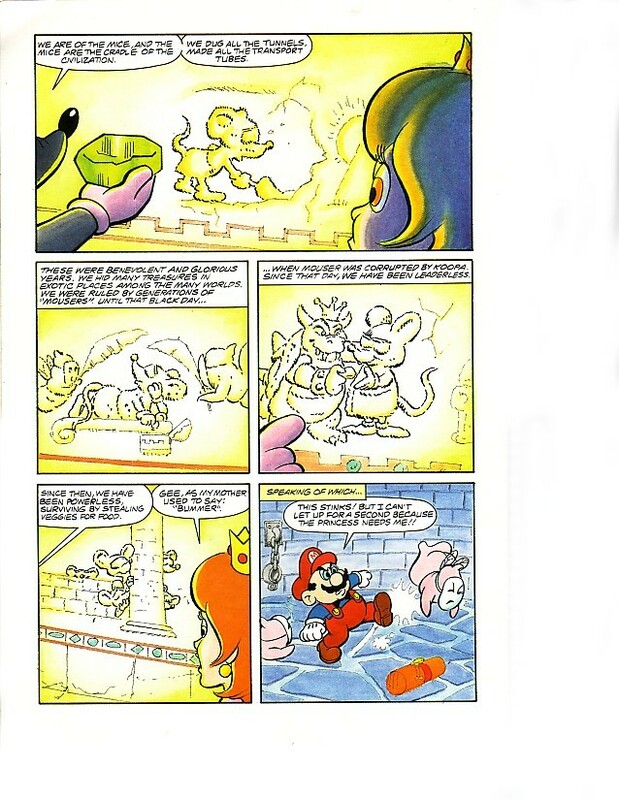 Some of the comics might actually take place before King Koopa’s banishment, like “It’s Always Fair Weather,” in which Mario first discovers the power of the Super Leaf. One tricky thing about Super Mario World as far as outside media go is that everyone seemed to depict Yoshi differently. The flashback in the cartoon “Mama Luigi” has Luigi tell Yoshi how he, Mario, and the Princess came to Dinosaur Land for a vacation after banishing Bowser from the Mushroom Kingdom (again). This fits with the little in-game story we get, although it does raise the question as to how King Koopa was banished this time. Considering the crashed airship that became the sunken ghost ship, maybe the Koopas were on that and then settled in Dinosaur Land, which Bowser would presumably have remembered as the place he spent much of his childhood. In the cartoon, he captures both Mario and the Princess, but Mario escapes without finding out where Peach is being held. He tracks down Luigi, who has teamed with the newborn baby Yoshi. They rescue the Princess and decide to remain in Dinosaur Land to help the native cave people and thwart Koopa schemes. The Chancellor from Super Mario RPG, who seems pretty competent, is probably holding things together in the Mushroom Kingdom at this point. Still, the Marios and Peach do eventually return, possibly taking Yoshi with them. While Dinosaur Dilemma starts out in Dinosaur Land, the last three Adventure Books to feature Mario have Yoshi living in the Mushroom Kingdom with the other main characters. This Yoshi doesn’t speak English, but since he’s portrayed as a child, he’s probably the same one from the cartoon. In Flown the Koopa, Bowser is still in his valley in Dinosaur Land. And even Super Mario 64 has Yoshi hanging out on the roof of Peach’s castle. My thought is that Super Mario Adventures also takes place around this time, as it has the heroes start in the Mushroom Kingdom while Bowser is still dwelling in his Dinosaur Land castle. During this adventure, Mario and Luigi meet another Yoshi who’s chairman of the Chamber of Commerce, and he takes them to Yoshi Village to meet some of his compatriots. Bowser has also captured a lot of Yoshis, but the protagonists rescue them along with the Princess. It’s tempting to think these Yoshis might include some of the ones who accompanied Mario when he was a baby, and maybe the parents of the young Yoshi from the cartoon, but that’s still up in the air as far as I’m concerned. Some of the Club Nintendo comics have Mario, Luigi, Peach, and Yoshi all living in or near Brooklyn, which I guess isn’t too far-fetched. There are, however, other Nintendo characters there who don’t have the same connections to New York. Actually, I think the Ruby-Spears cartoon did have Dr. Light, Dr. Wily, and Mega Man living in New York, but in the future. In one story that doesn’t use Mario, “Kirby’s Biggest Case,” a mad scientist has a giant Game Boy that he can use to draw characters into and out of games. 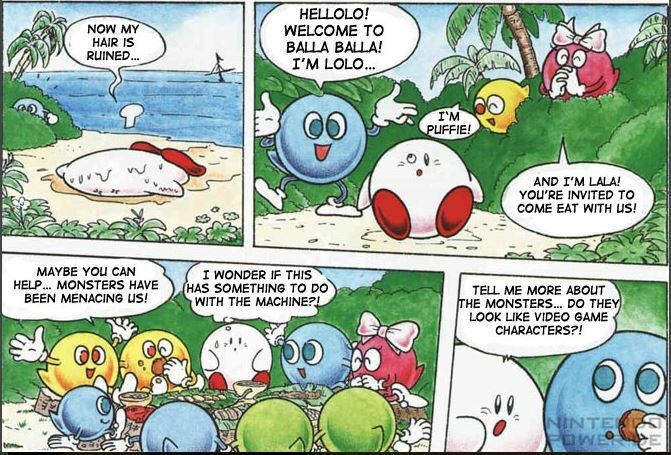 It’s kind of funny when Kirby asks Lolo whether he’s seen any video game characters, when of course both of them ARE such characters but presumably don’t know it. Maybe they’d been transferred into our world by the scientist’s device or some other means. Regardless, most of these comics were published in the time between SMW and SM64, and presumably took place then as well. And that’s pretty much it, although I’d also like to propose that the part in Donkey Kong ’94 when DK overdoses on Super Mushrooms and becomes gigantic could be linked to the Captain N cartoons, in which he was always huge. This could also be around when he started taking up potion-mixing. This entry was posted in Captain N: The Game Master, Cartoons, Comics, Donkey Kong, Kirby, Magic, Mario, Mega Man, Super Mario Bros. Super Show, Television, Video Games and tagged anime, bowser koopa jr., club nintendo, dinosaur dilemma, dinosaur land, donkey kong '94, dr. light, dr. wily, flown the koopa, king bowser koopa, koopalings, luigi mario, mario vs wario, mouser, mushroom king, mushroom kingdom, mushroom world, nintendo adventure books, nintendo comics system, princess peach toadstool, super mario 64, super mario adventures, super mario bros., super mario bros. 2, super mario bros. 3, super mario rpg, super mario world, the great mission to rescue princess peach, timelines, waluigi, wario, wart, yoshi. Bookmark the permalink.